The children achieved a fantastic 2nd place at the Orienteering competition. This is only the second time we have done this competition so it was an amazing result. The children had three different events: they had to follow a directional map and add up numbers as they went, match map symbols, pictures and words and follow a map in the sports field to locate number clues. Well done team! 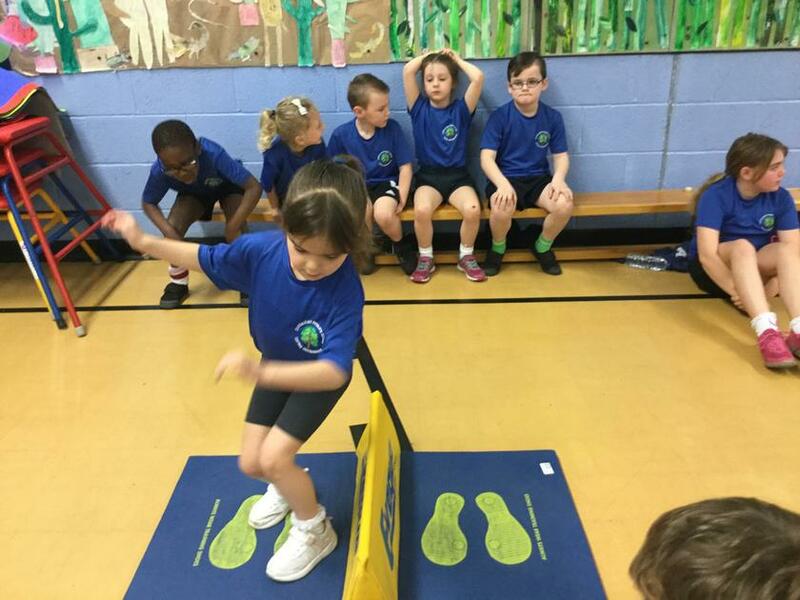 KS1 Indoor Athletics. This is an annual competition which we host here at Criftins CE Primary School. This year we welcomed teams from Cockshutt, Oswestry and Welshampton schools alongside our 2 teams from Criftins. 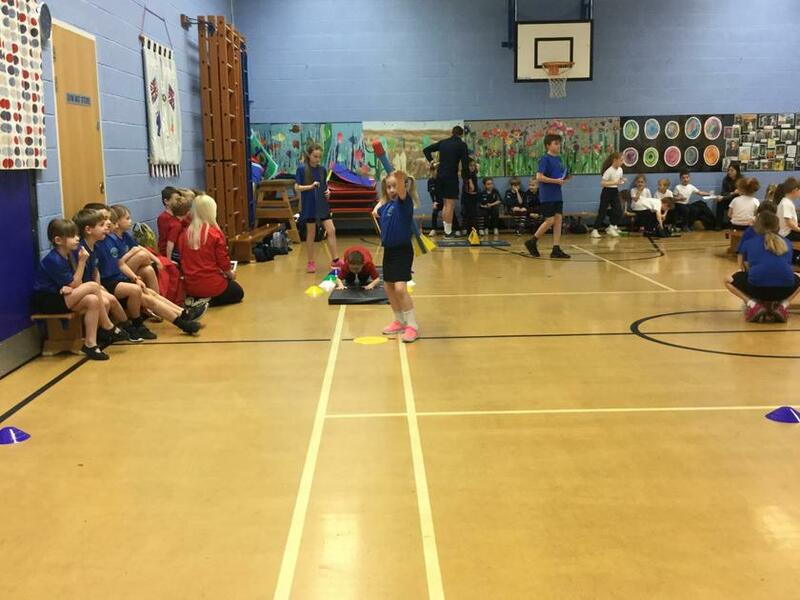 The field events included Standing Long Jump, Speed bounce, Target throw, Javelin and Seated Ball throw, the track events included individual and team races. The children did brilliantly and thoroughly enjoyed their morning. Results were 1st Criftins Blue, 2nd Welshampton Poison Dragons, 3rd Oswestry School, 4th Welshampton Team Ninja, 5th Criftins Red and 6th Cockshutt. Many thanks to our Year 6 Young Leaders who led, recorded and scored the events - we could not have had such a successful event without them. Shropshire Winter Festival 5th March 2019. We went to the Winter Festival with our Quicksticks Hockey team and 2 cross country runners having qualified to represent North Shropshire at the Shropshire County Finals. The children all met and had their shirts signed by the inspirational Teagan Hyatt, England U15 Ice Hockey goalkeeper. Our cross country runners were 7th and 12th and our hockey team were 2nd in their first round and finished in 8th position overall with some incredibly close games. The children all had an amazing day. Well done to you all! Tag Rugby at Oswestry Rugby Club on 6th February 2019. Another very fast moving competition where we won 5 games and drew 2 resulting in 3rd place by 1 point. A great morning with many of our players being awarded medals for demonstrating the School Games values including: teamwork, respect, self-belief and honesty. 05/02/19 L2 Quicksticks Hockey. We had qualified for the L2 competition which brings together all the winning North Shropshire teams to compete and find out who will represent North Shropshire at the 2019 Winter Festival at Shrewsbury Sports Village in March. We won 3 matches, drew one and lost one in the first round and went through to the semi-final which we won. In the final we were just beaten into second place against Baschurch which means that we go through too! Friday 1st February was the L2 Crosscountry competition held on a very chilly field at Oswestry School. 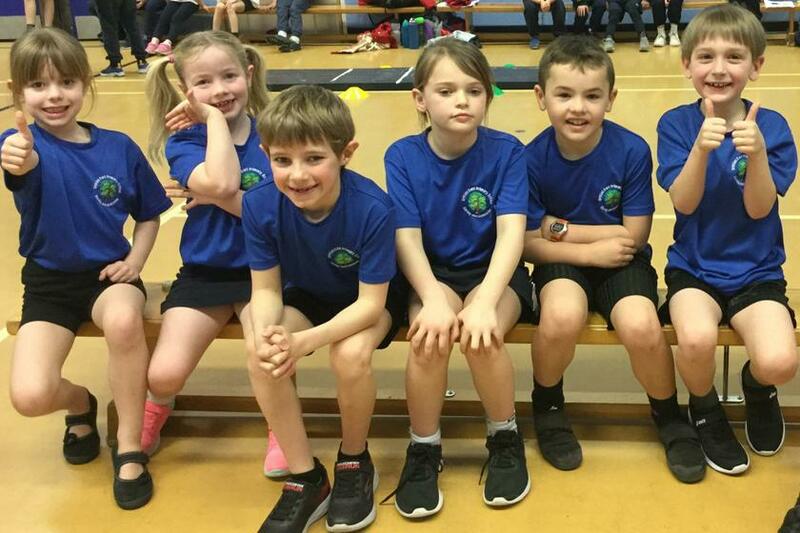 We had 9 children who had qualified and produced amazing results which means that we have 3 children going through to the L3 competition, and 3 who are on the reserve list, which will be held at Shrewsbury Sports Village in March. 30th January 2019. 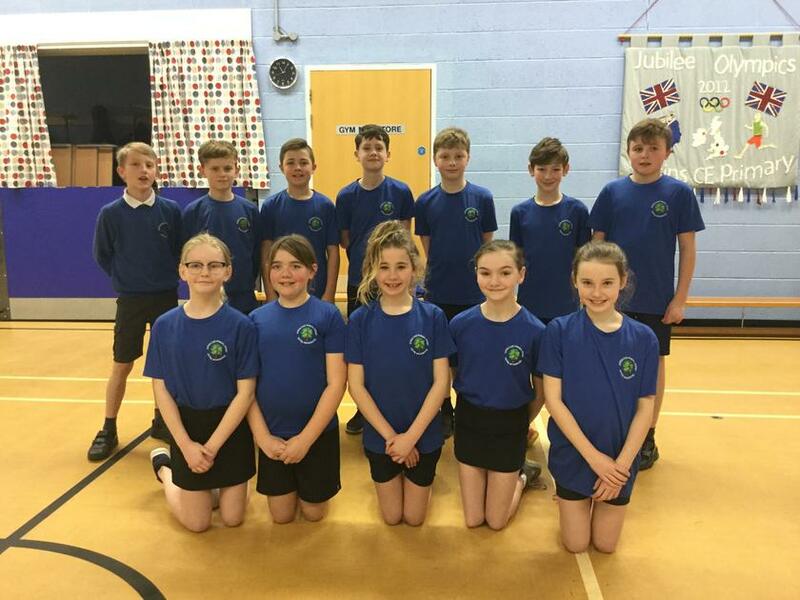 We went to Ellesmere Primary School for the Level 2 Gymnastics competition where we were competing against all the teams who had qualified from L1 in North Shropshire. The L2 competition was to find out who would represent North Shropshire at the County Finals in March. Our team performed brilliantly, it resulted in us being 5th best team in North Shropshire. Well done everyone! We were lucky to have Ryan Evans for a whole school tennis taster day. Ryan is a coach from Criftins Tennis Club and if anyone is interested in joining his tennis coaching sessions they would be very welcome. Please see our ap for details or contact the school for his contact details. 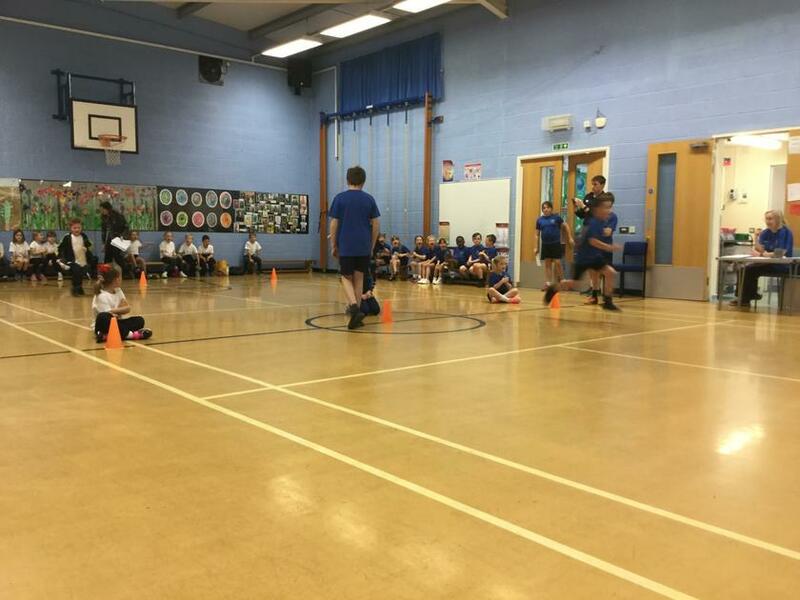 We had a team of children who went to Ellesmere College to take part in an indoor athletics competition. They had a great afternoon experiencing a range of activities and representing our school. 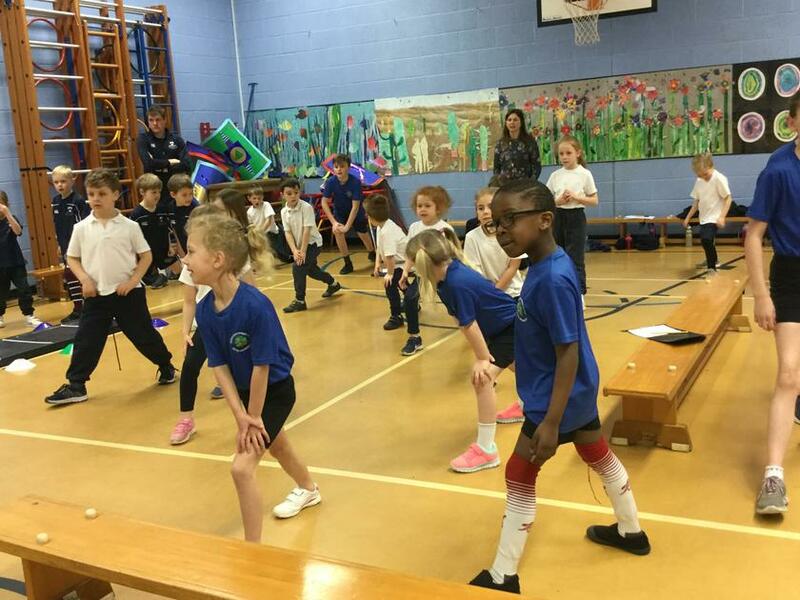 Every term we complete a personal performance test for Key Stage 2 children. 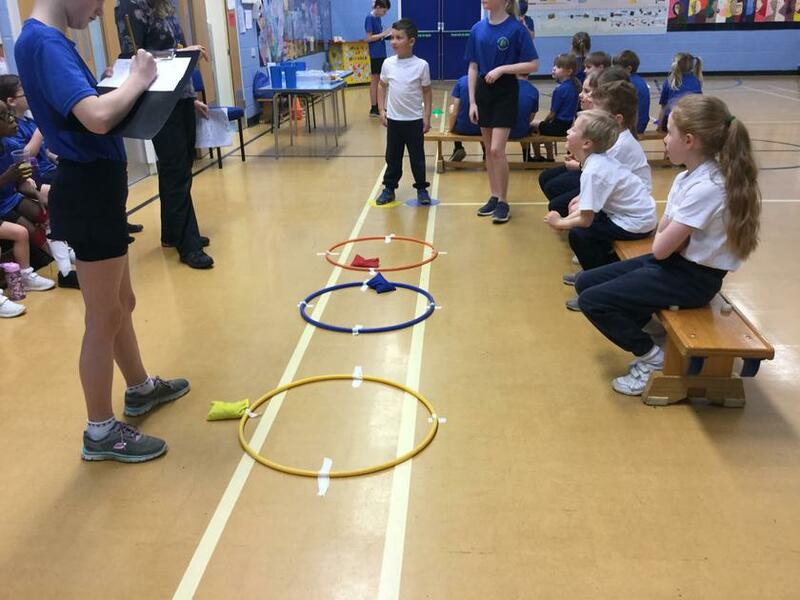 This is a measurable way to check our children's fitness and that their levels are improving throughout the year, we do this by counting the number of speed bounces they can do in 30 seconds and the number of laps run in the hall in 3 minutes. Mixed Basketball Tournament 16/1/19. After a hard fought tournament the team came an amazing 4th place in the trophy competition.